While crossing the continents I always rely on flights, to be more specific I rely on economy class. Now it so happened, while discussing the pros and cons of flight travels with a friend of mine, settled in USA we both agreed to zero down on economy even when flying for long hours. I will try to list down the gist of our conversation. You may use this list as a ready reckoner before you go ahead and book the next flight abroad (or even domestic for that matter). Even by paying a premium you will end up landing in the same destination. An avid traveler that I am, I would prefer to save that money and spend it for newer experiences for the next destination, may be try a new dish or listen to an opera concert. I can come back home and tell the stories of the same to an audience eager to share the joy of travel you just made instead of embarking on a highly priced but same flight! It is always suggested you keep a tight check on the expenses you incur on the road. Agreed on the fact you may want to splurge from time to time, especially when you are planning a trip with the special one. However, remember if you are a travel buff, that one trip will be repeated multiple times in near future. Trust me with this! Every time you book an economy class, you are escaping the heavy ordeal of paying unreasonably high price, thus saving up a lot on the expenditures. The saved up money can go straight to your travel fund, even as a surplus. Buy that much sought after perfume from duty free? Or reserve a table with the famed French restaurant joint? Or maybe, try the cable car ride. As it is quite a task to book international travel packages when you are trying to book with a weak currency and weaker exchange rate. Saving up few grands while booking that mandatory flight ticket will only give you the necessary space to operate at ease while abroad! In my experience, I have always found the first class flights to be spooky. It is calm and quiet everywhere. You do not have plenty of co-passengers. Your visual demand to watch over many fellow travelers is marred at the first go. To top it all, there is hardly any like minded passenger ever who will engage with you in a meaningful conversation. My primary goals to travel, is to cognise the human mind and exchange culture and discuss on various happening topics on the world are heavily overlooked. True you find a serene flight for few hours however I would trade that for a compartment full with vibrancy of life! Any day! There is no compromise on the service standard or food quality they serve in either of the flight classes as well. Having discussed all these, I understand some of you are too keen to travel with luxury and have the necessary money to spend for the same. In that case I urge to opt for a business class for the long flights. It is almost as good as the first class in terms of international flights in provision of the amenities however the silver lining is it comes in a very reasonable price list. So with all the details furbished, what is your take on the next destination? 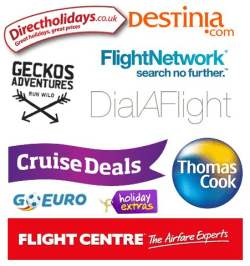 Have you booked with an airline already? What is your next destination? Do share with us in the comments section below! amazing . so where you go new year ? Nice post, i too consider an economy class for shorter distance. Great, i know first class is expensive but if someone is travelling on a long flight, then first class is better as the comfort they are providing.